Kala Jamun is an unavoidable sweet duringall festive occasions such as Diwali, Navratri, Holi etc. Celebrations make people forget their worries and enjoy a lot. Irrespective of festivals, Kala Jamun is prefered by everyone. Nowadays, the traditional way of preparing sweets at home is disappearing. The hectic life style has made it not practical to spend a lot of time making food at home. 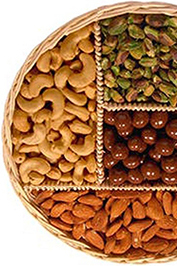 Majority people depend on sweet stores to buy desired sweets and snacks. MM Mithaiwala is a trusted store by a large group of people. 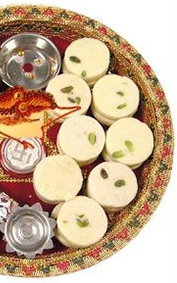 The Online Mithai taste the same as the ones you prepare by your own hands. How MM Mithaiwala prepare Kala Jamun? MM Mithaiwala is a group of professionals with hands on experience in preparing delicious Kala Jamun in very clean and hygienic surroundings. The experienced chefs here mix the ingredients in an age old way of Kala Jamun preparation, preserving the same taste even now. Our products are cent percent pure, hygienic and healthy. So You can trust us and eat delightfully. From our Onlline store, you can buy Yummilicious Kala Jamuns at an affordable rate without any compromise in nutritional value. Fresh cow’s milk, 100 % pure ghee and paneer, soft Khoya, all purpose flour (Maida) and sugar form the base of Kala Jamun. Why people prefer MM Mithaiwalas’ Kala Jamun? Everyone knows that MM Mithaiwala online Sweet store brings to the public a wide range of sweets in an affordable price with excellent quality. The calm and cool atmosphere in our shop keeps you energetic throughout the day. Hurry now and visit the MM Mithaiwala shop. We deliver orders very fastly, so you do not have to worry about the delay. The rapid delivery of orders is accomplished by the team work of dedicated staffs here.We deliver orders at your door step. If you wish to give your dear ones a surprise on special days, we are there for carrying the gifts on behalf of you(free delivery). Some finger-licking Kala Jamun kept in an elegant container and wrapped with a lovely gift wrap and a warm wish written on it.....no other gifts can replace this for sure! How to order from Online MM Mithaiwala Store? We are at your hand’s reach, just dial us or buy sweets online through our online Indian sweet shop. We sell Kala Jamun in whole sale rate for all great occasions such as marriage, engagement, birthdays and so on. Visit the online store to place an order.